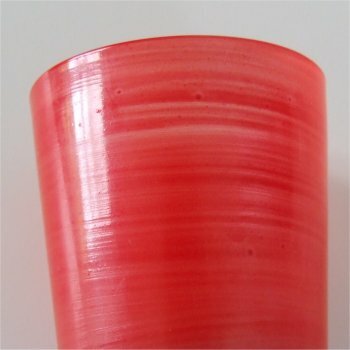 This colourful vase is approximately 182mm (7 & 3/16ths") tall. The base is dome shaped, with no bubbles. 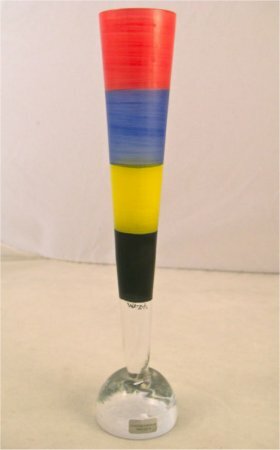 The stem has wide bands of colour, red, blue, yellow and black. 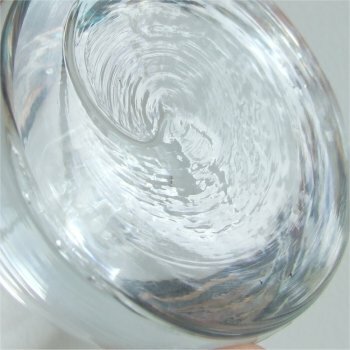 The colour has a streaky appearance and looks to be 'painted' onto the clear glass. It has a wide flare being 45mm (approximately 1 & 7/8ths inches) in diameter. The bottom of the base is almost flat but has a very slight depression and a creased finish. 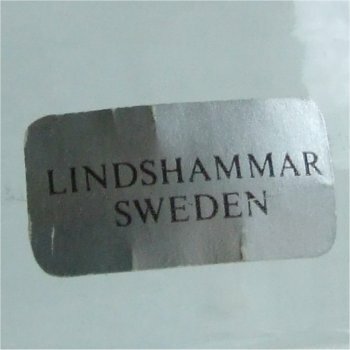 The oblong (landscape) paper label is silver, with black printing stating 'LINDSHAMMAR SWEDEN'. 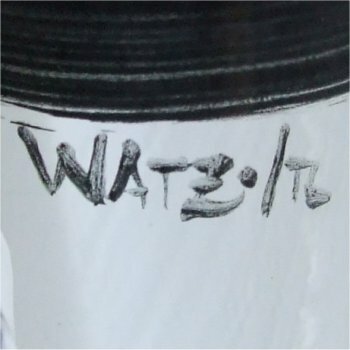 The vase also has a painted mark which says WATZ./TL or maybe T6. (See images below). Click on the menus above for other makes.